Russia's new cruise missile has crashed in testing, a U.S. official said. A U.S. official says Russia's new nuclear-powered cruise missile is still being tested and has crashed in recent testing. 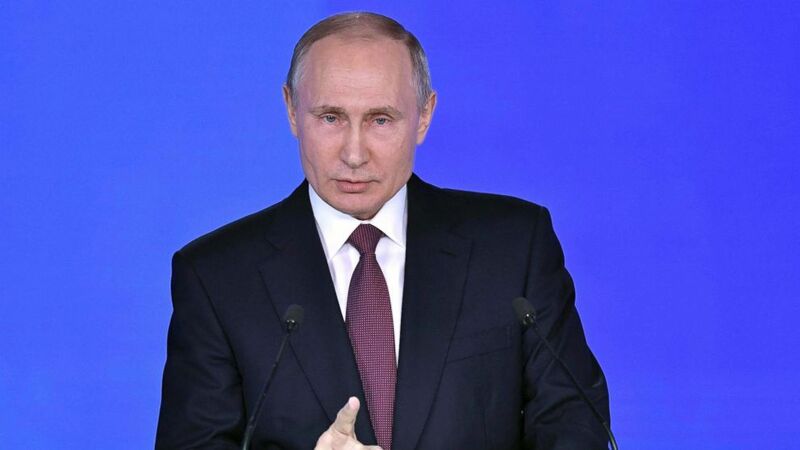 On Thursday, Putin announced that one of those missiles, a new cruise missile would render existing missile defense systems obsolete and that its nuclear-powered engine would give it unlimited range. 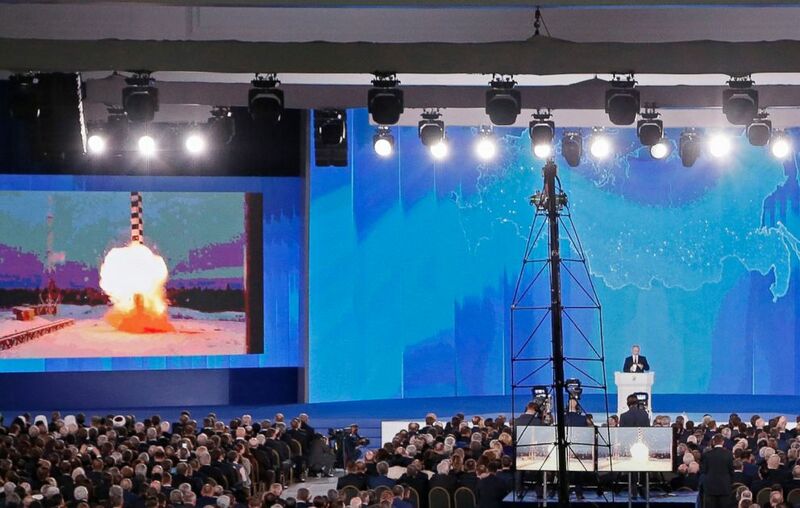 In a speech to Russian lawmakers, Putin played a video of an October test launch of the new cruise missile. (Maxim Shipenkov/EPA via Shutterstock) Russian President Vladimir Putin addresses Federal Assembly, Moscow, Russian Federation, March 1, 2018. A U.S. official tells ABC News that the U.S. has been monitoring Russia’s work on a the new missile for a while. According to the official, the missile unveiled by Putin is still in the testing phase, and has crashed more than once in recent testing, including during a test in the Russian Arctic. “These weapons that are discussed have been in development a very long time," she added later. Putin claimed that the development countered American and NATO missile defense shields in Europe. (Sputnik/Alexei Nikolskyi/Kremlin/Reuters) Russian President Vladimir Putin addresses the Federal Assembly, including the State Duma parliamentarians, members of the Federation Council, regional governors and other high-ranking officials, in Moscow, March 1, 2018. The missile’s nuclear-powered engine could keep it aloft for an extended time. Conceivably, that would give it the flying range to be able to circumvent missile defense systems, allowing it to eventually reach its target. “They know very well that it's not about them,” White said in reference to U.S. missile defense systems in eastern Europe. “Our missile defense has never been about them.” She later explained that the missile defense systems are designed to counter missile threats from "rogue nations" like North Korea and Iran. A U.S. official added that the missile's development will not affect nuclear deterrence policy since the first use of a nuclear weapon against the U.S., by any type of weapon, will lead to a U.S. nuclear response. “We need to ensure we have a credible nuclear deterrent, and we are confident that we are prepared to defend this nation no matter what," said White.